It goes obliquely through the side of the neck, breaking up it into posterior and anterior triangles and is an important muscle of neck. The muscle originates by 2 heads: sternal and clavicular. Sternal head, it appears by a rounded tendon from the superolateral part of the front of the manubrium sterni and is tendinous, below the suprasternal notch and enters upwards, backwards and laterally in front of the sternoclavicular joint. Clavicular head, is flat and musculoaponeurotic. It goes vertically upwards deep to the sternal head with which it joins to make a fusiform abdomen. The point of origin is from the medial third of the superior outermost layer of the clavicle. A small triangular gap exists between both heads above the sternoclavicularjoint. It’s termed lesser supraclavicular fossa. It includes the terminal part of the internal jugular vein, which can be entered at this site by a needle or catheter. The muscle is added by (a) a thick tendon on the lateral surface of the mastoid process stretching from its tip to its base and (b) by a thin aponeurosis into the lateral half of the superior nuchal line of the occipital bone. Upper part, by occipital and posterior auricular arteries. Middle part, by superior thyroid artery. Lower part, by suprascapular artery. The knowledge of arterial supply is significant to make muscle flap in reconstructive surgery. The sternocleidomastoid muscle is supplied by the spinal accessory nerve. It’s also supplied by the ventral rami of C2 and C3 that are largely sensory and carry proprioceptive sensations from the muscle. When muscle contracts, it tilts the head to the shoulder on the exact same side and rotates the head in order that chin turns to the opposite side. This movement takes place during an upward sideways glimpse. When muscles of both sides contract jointly they pull the head forwards as in lifting the head from the pillow or bending the head during eating food. If the head is fixed by prevertebral muscles, the 2 sternocleidomastoid muscles serve as accessory muscles of respiration during forced inspiration. Muscle: Posterior belly of digastric, longissimus capitis and splenius capitis. It’s a clinical state where head is bent to 1 side and chin points to the opposite side. This happens because of spasm of sternocleidomastoid and trapezius muscles supplied by spinal accessory nerve. The spasmodic torticollis is distinguished by continued painful contractions of the trapezius and sternocleidomastoid muscles on 1 side. It’s generally caused by exposure to cold and mal-adjustment of pillow during sleep. The reflex torticollis happens because of aggravation of spinal accessory nerve caused by inflamed or suppurating lymph nodes. The congenital torticollis takes place because of beginning injury to muscle. Long-Lasting torticollis may happen because of subse-quent ischemic contracture. 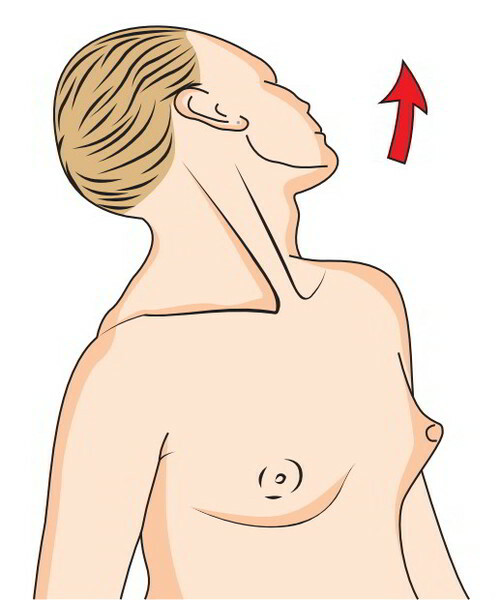 It’s the swelling in the middle third of the sternocleidomastoid muscle because of edema and ischemic necrosis caused by beginning trauma. 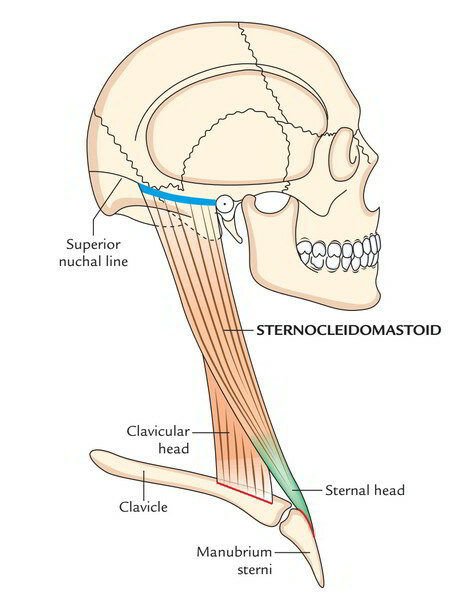 The sternocleidomastoid is crossed superficially by the great auricular nerve, external jugular vein and transverse cervical nerve, in that sequence from above downwards. On the deeper aspect, it’s also associated with deep cervical lymph nodes.